Nigerian Youths for Peace Concert : THE PVC PARTY Train to HIT IMO STATE this February. 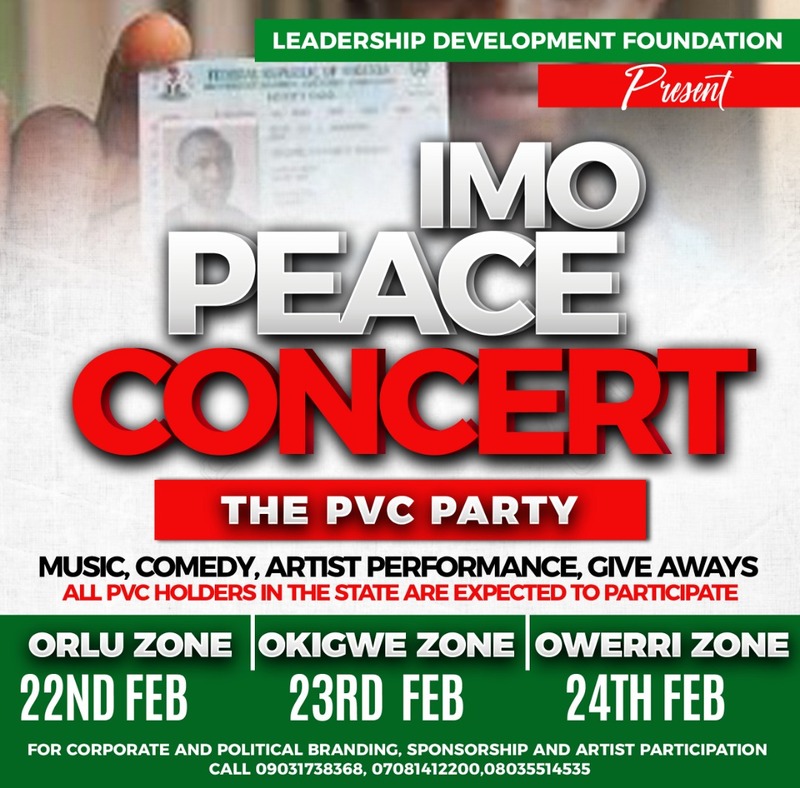 Imo Peace Concert : THE PVC PARTY to HIT IMO STATE this February. 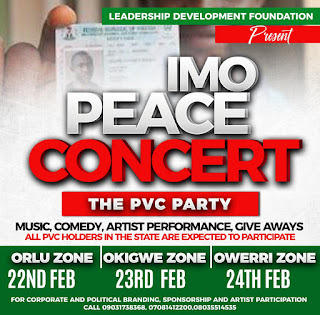 Preparations are being finalized for the Imo Peace Concert (The PVC Party)Which is being put together by Leadership Development Foundation to spread the message of peace and tolerance during the coming polls in the state and Nation at large. The PVC Party is aimed at gathering Ndi Imo that has obtained their PVC at one place using music, comedy and other forms of entertainment to convey the message of No Violence in the February 16th and March 2nd Election to them and also to particularly make them understand the power they carry within their Permanent Voters Card (PVC ), so as to appreciate how very important they truly are; thereby encouraging them to exercise their right to vote in the election . The event will feature musical performances from A list Artistes in the nation, comedy, give-aways, short motivational speeches from traditional, political and religious leaders and the doors to the concert will be free and will open for only those who have their PVC . 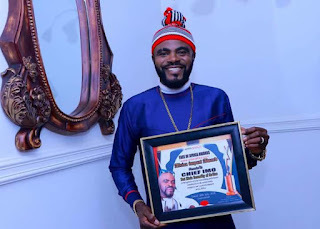 The organisers feel that music, humour and indeed entertainment is a universal language making it an acceptable way to communicate to Ndi Imo and get them to see the need to participate in the coming election and the target is to reach over 100,000 people across the state of Imo in their respective political zones of Okigwe, Orlu and Owerri within this period and inspire them to participate in the polls, the organisers intend using the power of social and mainstream media platforms for the PVC Party. 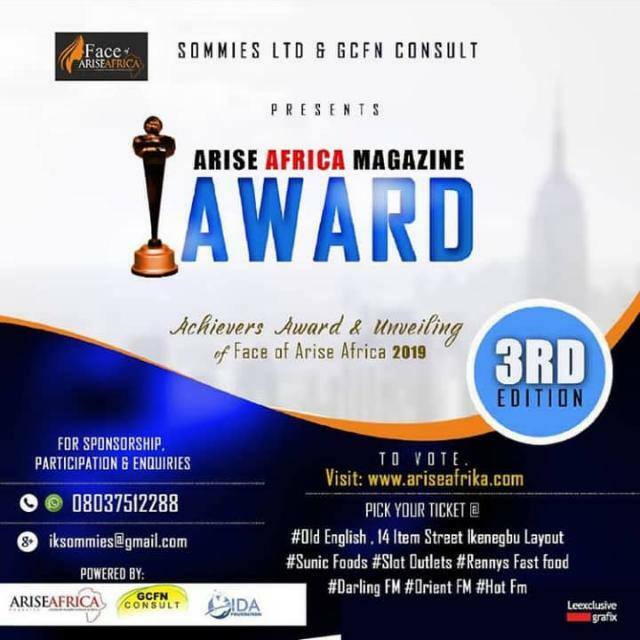 Leadership Development Foundation ,Nigerian Eye newspaper and Arise Africa are open to collaboration with corporate institutions and media entities, traditional rulers,religious and youth leaders in the state to ensure a memorable concert in Imo State this political season.